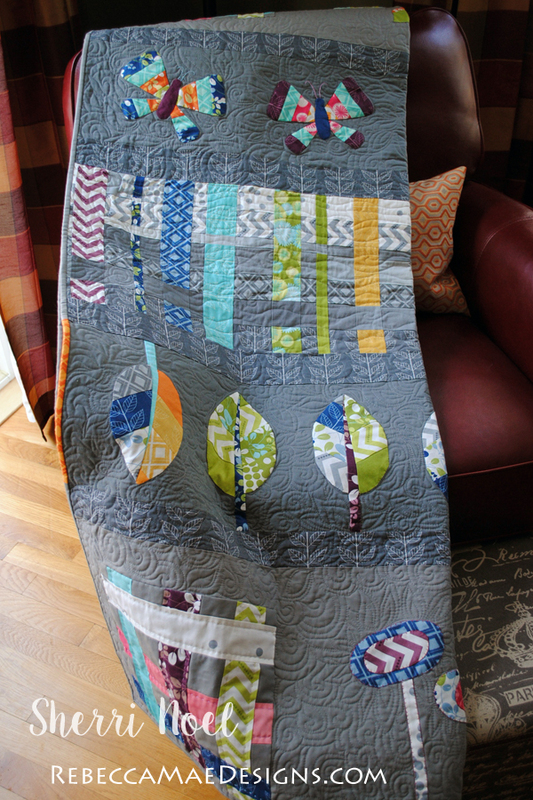 This Row quilt was completed as a ‘Row Robin’ in 2013 with help from some women in my Quilt Guild. Every row of the quilt has some piecing and some applique. Notice the block on the left side of the top and bottom rows? 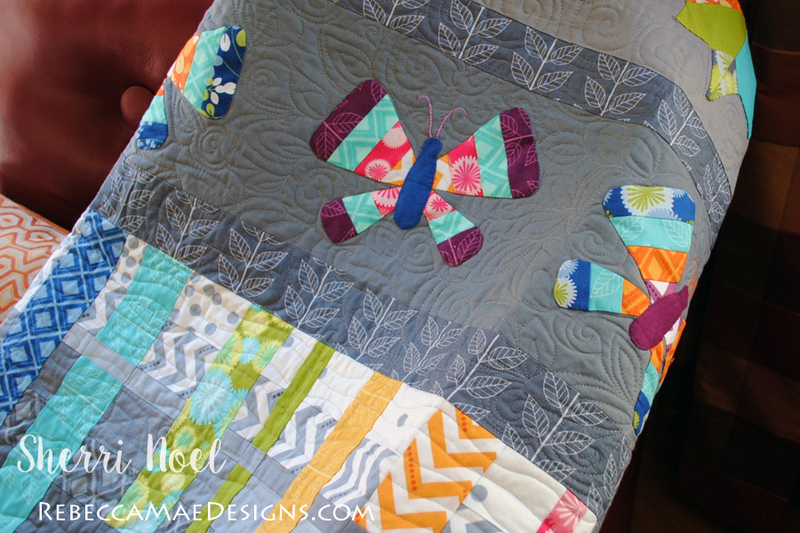 I used this tutorial to piece the blocks (see next pic) and then appliqued the block onto the rows and hand quilted them with perle cotton. 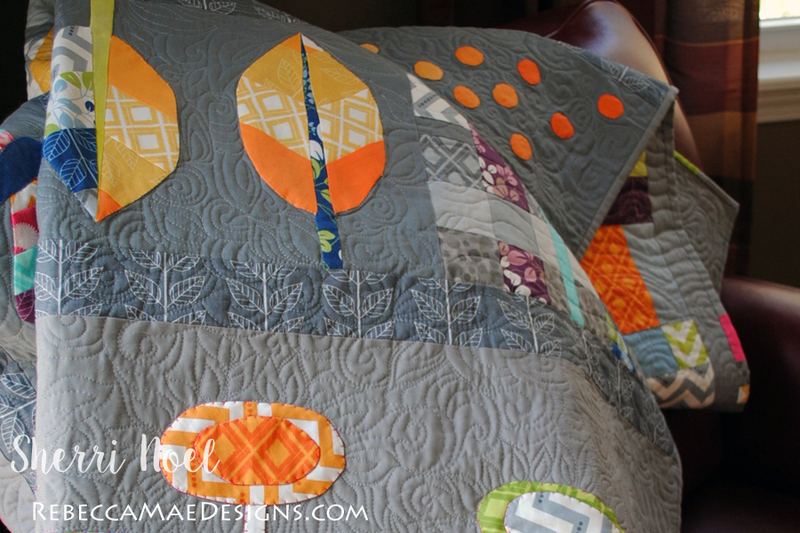 I free motion quilted the entire quilt on my domestic machine in swirls, leaves and wood grain. 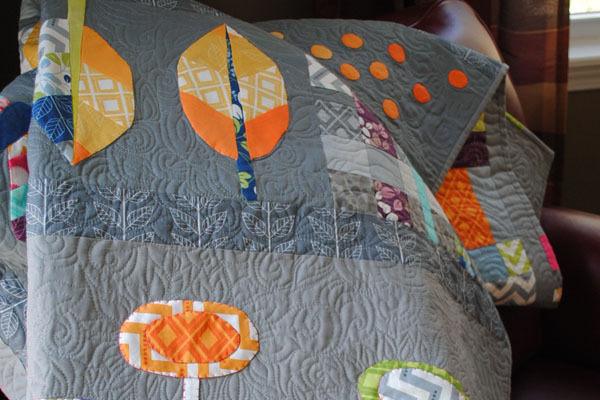 I quilted swirls and leaves on the gray background and wood grain on the pieced sections of the 3 center rows. 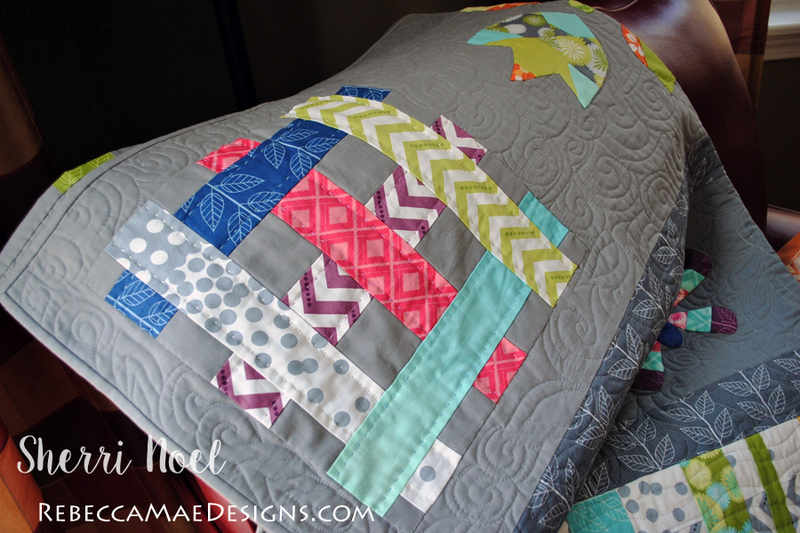 You can learn these techniques in this machine quilting class. 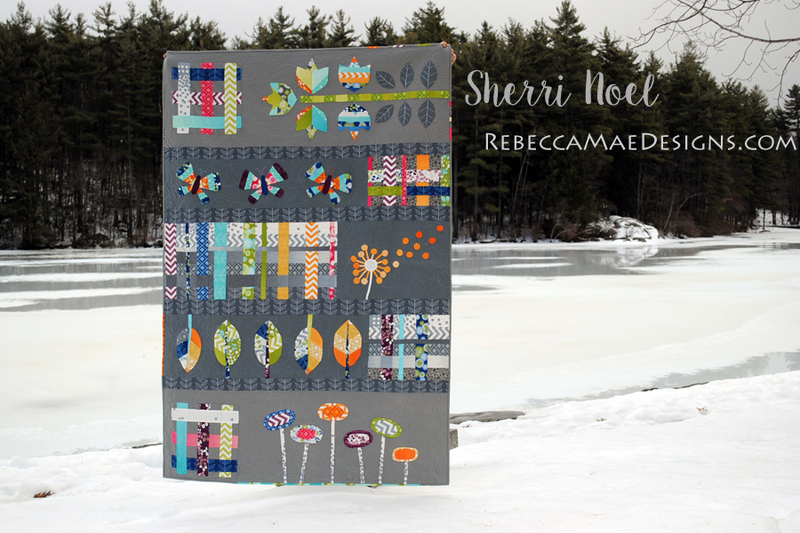 I love how the applique pops out against the quilted background. 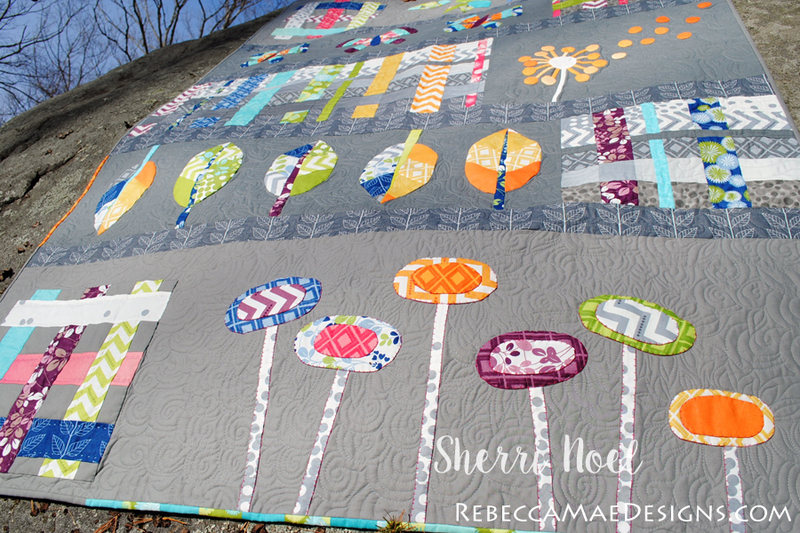 If you look close you can see that I quilted flower petals (like sunflowers) on all my ‘mod’ flowers. 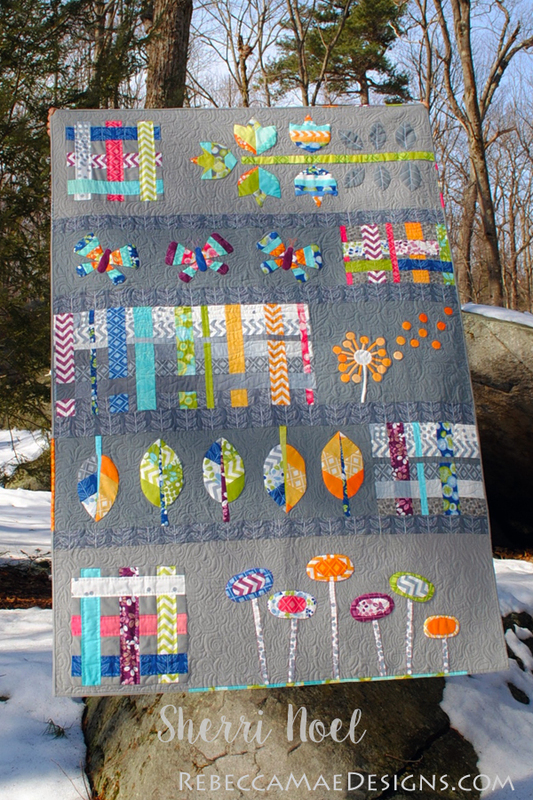 I used one Simply Color Jelly Roll and one charm pack by V and Co. to complete the top (with a couple larger pieces for gray leaf sashing between rows) and gray Kona Cotton. 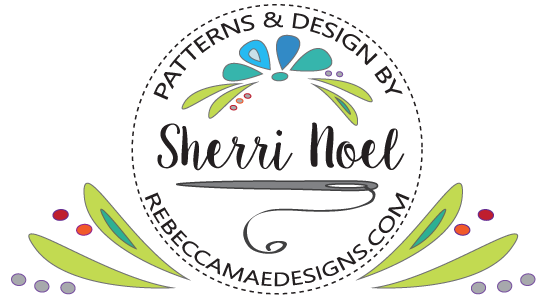 My dandelion was inspired by this pattern also by V and Co. 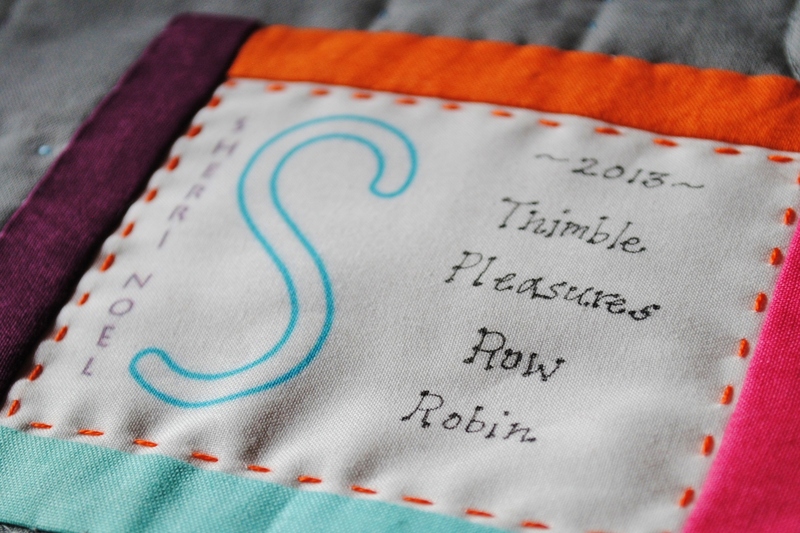 Thanks for checking out my Row Robin Quilt! 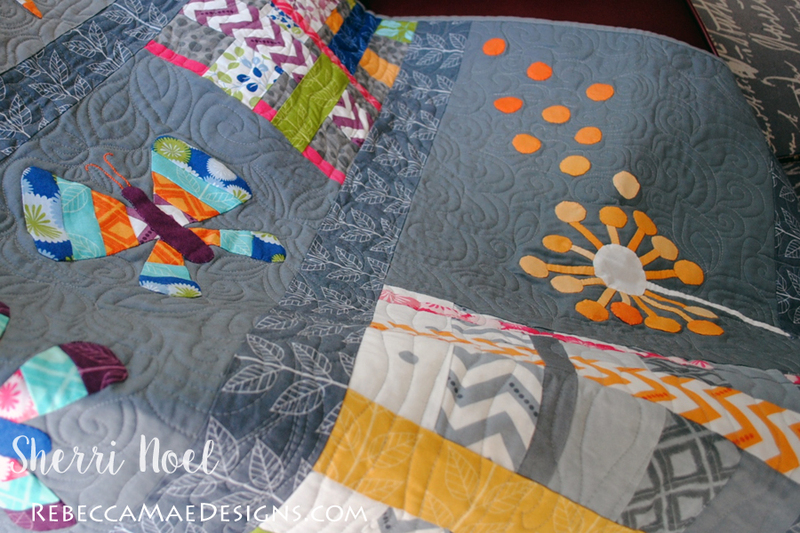 This quilt is so beautiful I could spend hours looking at all the details! Love the dandelion and butterflies. Adorable!